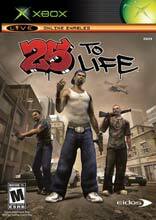 25 to Life is the game the streets have been waiting for. Play as either cops or gangsters, in this urban action third person shooter. The game delivers intense Online gameplay for up to 16 players, as well as a rich single player experience. 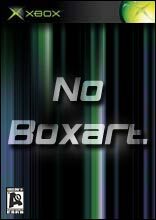 Set in the heart of today's cities, experience the gritty lifestyles of police task forces or as a gangster survive the local neighborhood thugs while fighting your way up the ranks. Bust out of prison, or infiltrate the inner sanctum of the drug lord's mansion, your knowledge of the streets will be put to the test becauseâ€¦ 25 to Life IS the streets! 25 to Life Hits the Streets Today in North America!!! In Just Cause, you take on the role of the flamboyant Rico Rodriguez - an undercover CIA operative specialising in regime change - as he tries to overthrow the corrupt government of San Esperito. This rogue South American island is suspected of stock.. The top teams from across the world have come to compete in the Great Juju Challenge. Representing the Pupanunu Tribe are Tak and Lok who will face great adversity in the form of Jujus, wild animals, and some menacing new tribes. Tak: The Great Juju ..
Join Tak in an epic adventure, as he must learn all new Juju magic to recover the Staff of Dreams and defeat Tlaloc once and for all. Tak's role in the great Prophecy of the Pupanunu people isn't over. Rather, it's just begun! It's not easy being Jib..
X-Men Legends features favorite characters from the powerhouse Marvel franchise in an immersive action RPG. The story begins when the X-Men learn that Magneto has devised a plan to give mutants the po..